The road to the Cheltenham Festival is a long one but there is a real feel of excitement for National Hunt racing fans at the moment as the start of the proper winter jumps campaign kicks into gear. As in previous years, I (@seanraymond) will be writing a weekly Road To Cheltenham blog each Monda as we round up all of the eye catchers and market movers from the previous seven days with at least half an eye on the big four days in March. The aim will of course be to help us find a few nice winners for the Festival itself in March as well as creating a thread through the season we can all follow. Splendid. Right then, here we go with the first Road To Cheltenham blog of the season. 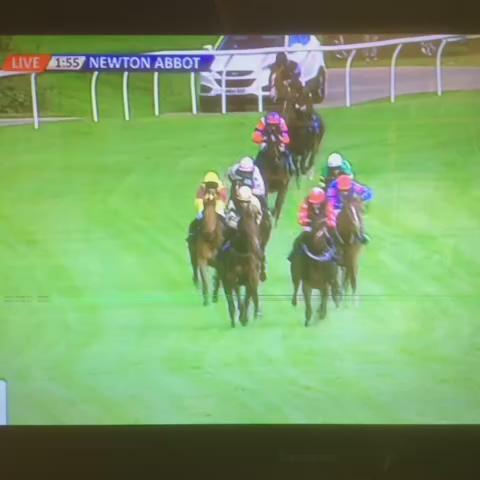 Newton Abbot is perhaps not known for its high class jump racing but their final meeting of the summer took place on Friday and we saw some very nice horses indeed make the trip down to Devon. A number of the major trainers were on hand and as such we saw one or two very nice types start their season in fine fashion and are more than worth taking note of. Paul Nicholls is of course pretty local to Newton Abbot and there was no surprise to see the Ditcheat handler claim the 2m2f Novices' Hurdle on the card. It was the Graham Wylie owned Simon Squirrel who claimed the win and although it is hard to judge the quality of the field, he certainly did it well for connections. He certainly gave the impression that there was much more to come and although there is no doubt that Simon Squirrel is a nutty chaser in the making, he might have a say or two over hurdles first of all. It would be no surprise to see Simon Squirrel pitch up at the Festival in March and as it stands, he is 33/1 for both the Supreme Novices Hurdle and the Neptune after his hurdling debut success. The John Ferguson trainer Ittirad was also a nice winner on the card in the Eggy Novice Chase and he looks a nice animal with a good engine, although he will need to sharpen his jumping up if he is to feature in a Grade 1 contest this winter. We also saw a Cheltenham Festival winner at Newton Abbot on Friday as Irish Cavalier won the feature 2m5f Intermediate Chase and it was a very nice run from the Rebecca Curtis trained horse. It was a rock solid round of jumping from Irish Cavalier who is now 12/1 to win the Paddy Power Gold Cup while fast finishing second Henryville remains one to watch if he can improve his novicey jumping for Harry Fry. I was lucky enough to be at Chepstow on Saturday for the first day of their new two day Jumps Festival and it was a very good day at this early stage of the season. We saw some very nice performances from some clearly very good horses on both days at Chepstow and one or two have made it into the notebook as a result. The first of those was certainly the Nicky Henderson trained Altior who picked up a facile success on hurdling debut at the Welsh track. Altior was a very nice bumper horse (6th in a Grade 1) and looked at home over the obstacles on his first try to mark himself out as one to follow. Altior will need to prove himself in deeper company but he looks more than capable with his current price of 25/1 for the Supreme Novices' Hurdle a more than fair one at this stage. Nicky Henderson and Nico De Boinville tasted more success at Chepstow as Cocktails At Dawn won the Robert Mottram Novices' Chase in fine style. He gave an excellent front running performance with very nice horses like Blaklion and As De Mee unable to land a blow on the winner who appears to have more to come. Some very good horses have won this race down the years and Cocktails At Dawn showed his class and greater experience over fences, with a run in the Paddy Power Gold Cup now on his agenda, for which he can now be backed at 16/1. Elsewhere on the card, the Peter Bowen trained Hollies Pearl won her fourth race on the spin and looks an ideal type for the new Mares Novices' Hurdle in March after she held off a very spirited run from the Philip Hobbs trained Brise Vendeenne, who herself looks a decent type to follow. The action continued at Chepstow on Sunday and we saw two very good juveniles do battle as Adrien Du Pont and Sceau Royal pulled clear of the rest of the field. The Paul Nicholls trained Adrien Du Pont was given the win in the stewards room but there was nothing between them and both are now available at 33/1 with Paddy Power to win the Triumph Hurdle. Two decent looking horses in the first @Chepstow_Racing. Adrien Du Pont looks one for the future with Sceau Royal looking a nice juvenile. We also saw the chasing debut of the exciting Beat Of Burden at Chesptow on Sunday and although it didn't go quite to plan, he still looks a nice horse to follow. The Rebecca Curtis trained 6-year-old was down the field in the Neptune last season but he was tanking along on Sunday and had the race at his mercy when he unseated Paul Townend at the second last. It's A Close Call was left in front to claim the win and looks a stayer in the making which could see him go down the National Hunt Chase route, while Beast Of Burden remains a 33/1 shot for the RSA Chase. We must also mention Long Dog who picked up another easy win at Limerick on Sunday for Willie Mullins and he remains very much in the 'could be anything' category. The Rich Ricci owned hurdler has now won five of his six starts and certainly has a real engine on him as he hacked up with only his jumping remaining slightly iffy at his stage. Long Dog will need to step up in class soon but he it is impossible to rate at this stage which means backing him at his current price of 16/1 for the Neptune would be pure guesswork at this stage.